Home News Nokia Smartphones Nokia 6 (2018) Now Official! Nokia 6 (2018) Now Official! Nokia has officially launched the Nokia 6 2nd Generation in China. Also called as the Nokia 6 (2018), it now offers better specs and improved features! Flaunting a metal clad design, this year’s Nokia 6 variant has different style, as it eliminates the Android keys below the screen. Its front is dominated by the 5.5-inch FHD IPS 2.5D touchscreen with 1920 x 1080 resolution, translating to 401 ppi. It has Gorilla Glass 3 protection, too. Inside, its processor has been upgraded to Snapdragon 630 paired with Adreno 508 GPU. It is packed with 4GB of RAM, and has up to 64GB expandable storage. The device is geared with 16-megapixel rear camera and 8-megapixel front shooter. 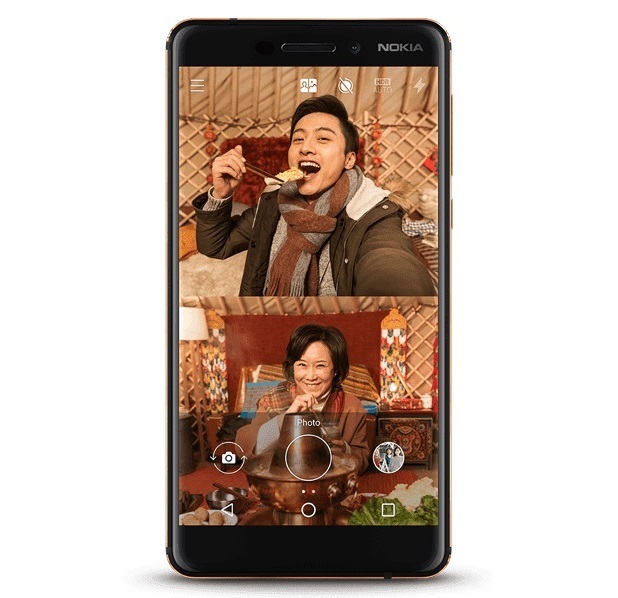 The Nokia 6 (2018) features Bothie mode, as well, to let users use both cameras simultaneously. Meanwhile, another upgrade includes OZO Audio recording for an advanced spatial audio technology with 3D capture and playback capabilities. The Nokia 6 2nd Generation will be available in China beginning January 10, while the price starts at CNY 1,499 (around PhP11.5K).